Some say Trump tweets too much, some say he shouldn't tweet at all. A new Media Research Center study finds that, since the inauguration, major TV news networks have devoted an astonishing 1,000 minutes out of a total 5,015 minutes of Trump administration coverage discussing speculation that the Trump campaign may have colluded with Moscow in hacking Clinton campaign emails, “which means the Russia story alone has comprised almost one-fifth of all Trump news this year.” In contrast, they so far have devoted just 20 seconds to the more substantive scandal of Hillary and her husband possibly trading US uranium rights for Russian cash. MRC analysts also found that more than a third of the networks’ Russia “scandal” coverage was based on anonymous sources who worked in the Obama administration, including Hillary’s State Department. Though some of that coverage has proved erroneous, leading to retracted stories and fired reporters, the damage is done. Trump’s approval ratings have suffered, and the Russia investigation has distracted the administration. Which was also part of Hillary’s plan. 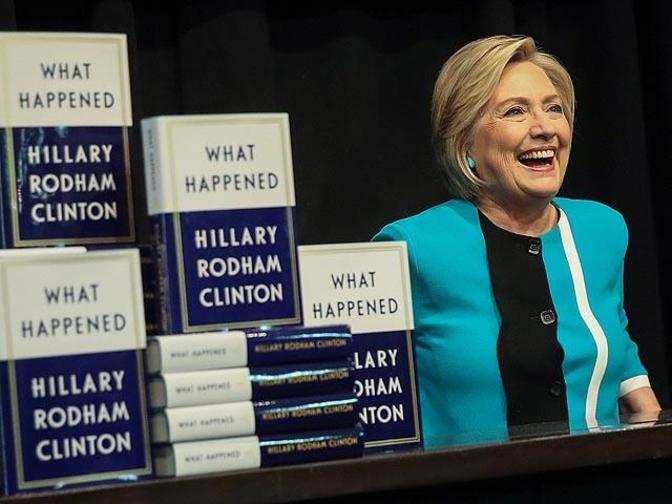 In short, Hillary couldn’t beat Trump with the political dirt she secretly purchased during the campaign, so she tried to cripple his presidency with help from an overwhelmingly anti-Trump media. Framing Trump as some sort of modern-day KGB plant was an easy sell, since the pro-Democrat media were also searching for a scapegoat to rationalize the crushing defeat of their shared liberal agenda at the polls.